Even if your vehicle is properly equipped with mirrors, there are blind spots that cannot be seen by using the mirrors. Before changing lanes, look over your shoulder to check these areas. Which of the following is not a safe driving practice when driving on the interstate? 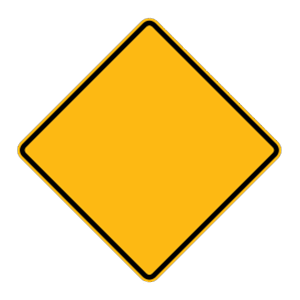 Slower traffic must keep to the right. If you miss your exit, you must go to the next exit. You should always signal when moving your vehicle to the right or left. On an interstate, you should stay in the right lane if you are moving more slowly than the surrounding traffic. It is illegal to back up or make a U-turn on interstate highways, so if you miss your exit, you should proceed to the next exit.